We decided we were in need of a little spring preview, so, here we have a grassy green with the simple and classic black and white. This color board could be used for a winter or spring wedding that is both traditional and timeless but with a little bit of modern flair. 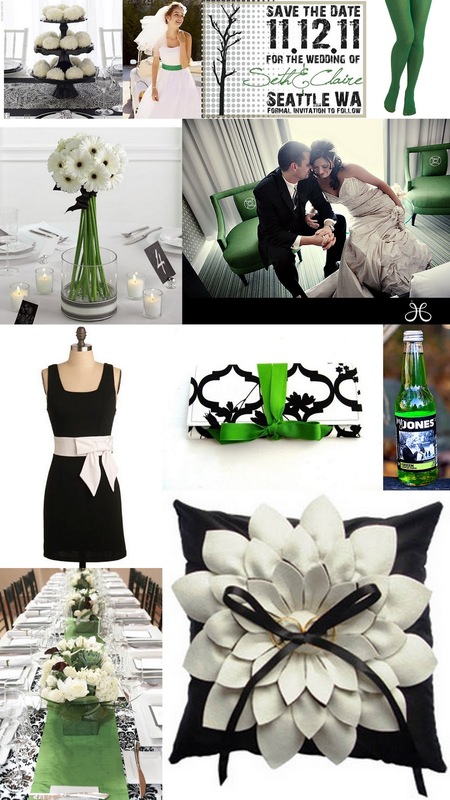 Black and white says traditional elegance but bold green says fun and fresh, the perfect mix for a modern couple. We had a few more images picked out for this one but our computer is giving us some trouble so for more green and black love, check out this board on Fine Stationary's photostream. Enjoy and know there are bright, fun, and cheerful colors to look forward to this Spring!